23.03w x 2.36d x 23.03h "
Soundwave® Sky is designed by Marre Moerel who got the inspiration for the sound absorbing panel from the silhouette of cities, in particular that of New York, but the pattern can also be seen as an abstraction of nature. The panels have a regular, rectangular form. When placed horizontally a straight line is formed at the top which is then broken into slightly angled horizontal lines. The pattern reflects New York's grid of streets and can also be seen as an enormous mountain range from a bird's eye view. 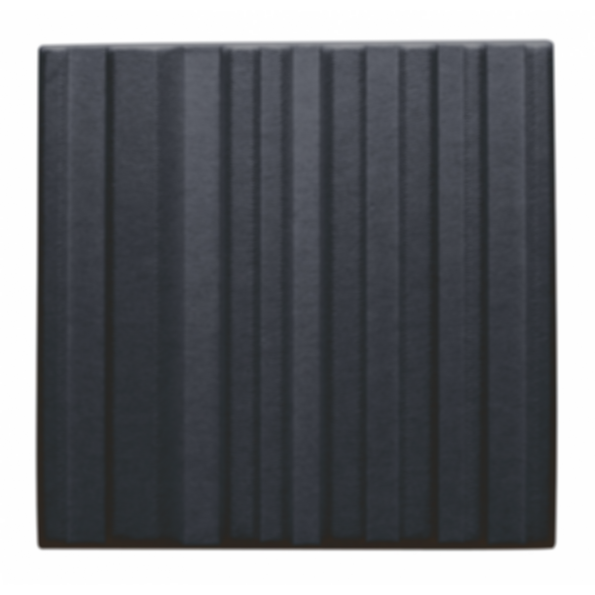 Sky is a lightweight sound absorber in the upper frequency range (500 Hz and above). These panels help reduce disturbing reflections of environmental noise such as voices, telephones etc. Recyclable moulded polyester fibre in anthracite, grey and offwhite.